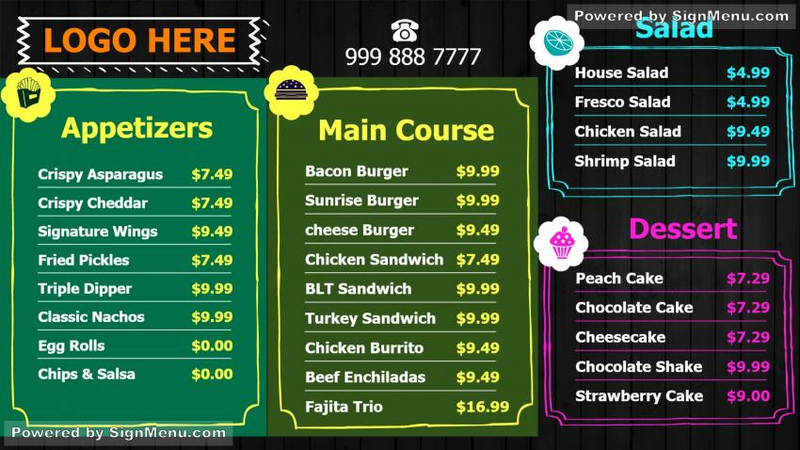 this template is best showcased on a digital menu board for maximum impact. many restaurants worldwide are adapting to digital signage to keep abreast of latest digital advertising. This template is ready for download and use.